Before you can have a successful business, you have to imagine yourself being successful. Before a well designed website is built someone has to image the concept. We imagine ourselves being successful, by making you so as well. Hey, that's not a bad thing. It just means we've been at this a long time. In fact, we've been making great websites since almost the beginning of the web. Unlike the real dinsosaurs, we aren't extinct, we're experienced. We could go on and on about the work we do, words are cheap. We prefer to put our money where our mouth is, and just show you. 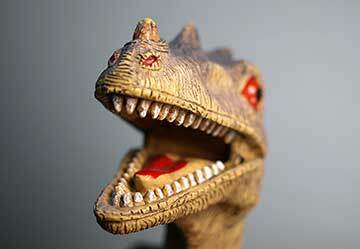 Take a look, see what we have done for our clients (remember that dinosaur part?) many of our clients have been with us for 20 years. Now, imagine what we can do for you. Are you ready for a great new website designed to make you look your best and enngage your customers? We are more than happy to help your imagination come to life. Don't hesitate to contact us.